The CMS on Friday suggested revising the Medicare enrollment application used by providers to make the standards clearer for enrolling clinicians. The agency announced a slew of revisions to the form in an information collection notice, including reorganizing the form to create a more logical flow what questions are being asked. The new form will include new specialty codes for physicians and non-physician practitioners to choose from, questions with "Yes/No" check boxes and will remove duplicate fields. "This application collects information to ensure that only legitimate physicians, non-physician practitioners and other eligible professionals are enrolled in the Medicare program," the agency said in a notice. "It is meant to be the first line defense to protect our beneficiaries from illegitimate providers and to protect the Medicare Trust Fund against fraud." The proposed application changes come just weeks after CMS announced it wanted to make it easier for physicians to enroll in Medicare and Medicaid through a pilot program that streamlines the screening process. The agency plans to launch a pilot program this year to offer provider screening for state Medicaid agencies on an opt-in basis using the same methods now in place for Medicare. 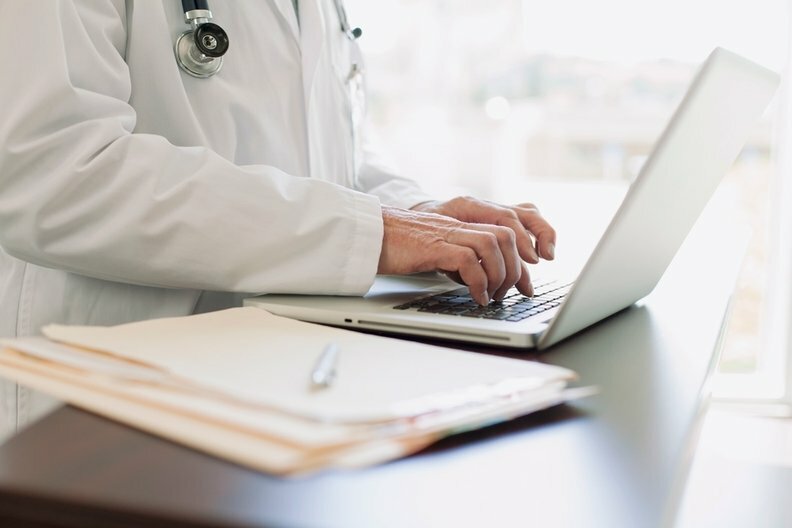 Providers and their administrative staff have criticized the Medicare enrollment process because the information gathering process used by Medicare Administrative Contractors (MACs) is inconsistent, according to Lyndean Brick, CEO of the healthcare consulting firm Advis Group. Part of the issue is that MACs don't have a universal understanding of the program's eligibility criteria, Brick said. MAC training and guidance has been limited over the years,leading to companies developing their own standards of what's needed, she said. MACs pre-screen and verify all information on the enrollment applications. They also ultimately approve the applications, according to the CMS. The varying standards have created a situation where some unqualified clinicians are enrolled into Medicare. Brick said she knew of a nurse who was a Medicare provider for years but was dis-enrolled when it came time to renew her application after it was discovered she lacked the appropriate education. The MAC that enrolled her did not understand the education requirements, according to Brick. Brick has also seen inconsistencies across MACs in ensuring that midlevel providers, such as physician assistants, nurse practitioners and certified nurse midwives, have proper board certification. The new application form will create a single document with in-depth information about enrollment criteria. The CMS estimates it doled out $36.2 billion in improper Medicare payments between July 1, 2015, and June 30, 2016. Improper payments include fraudulent claims, payments distributed to the wrong recipient or for the wrong amount, payments with insufficient documentation and issues where the recipient uses the funds improperly. Anders Gilberg, senior vice president of government affairs at MGMA, said the new form is more streamlined than the current one. However, he said he was disappointed that it doesn't make significant changes to reduce the administrative burden on physicians. "If CMS wanted to provide meaningful regulatory relief, it would adopt the existing industry credentialing standard which most private health plans use," Gilberg said. Comments on the new application, which must be approved by the White House's Office of Management and Budget, are due Aug. 13.